New research from The Myers-Briggs Company has shed some light on the distribution of type preferences across the globe. 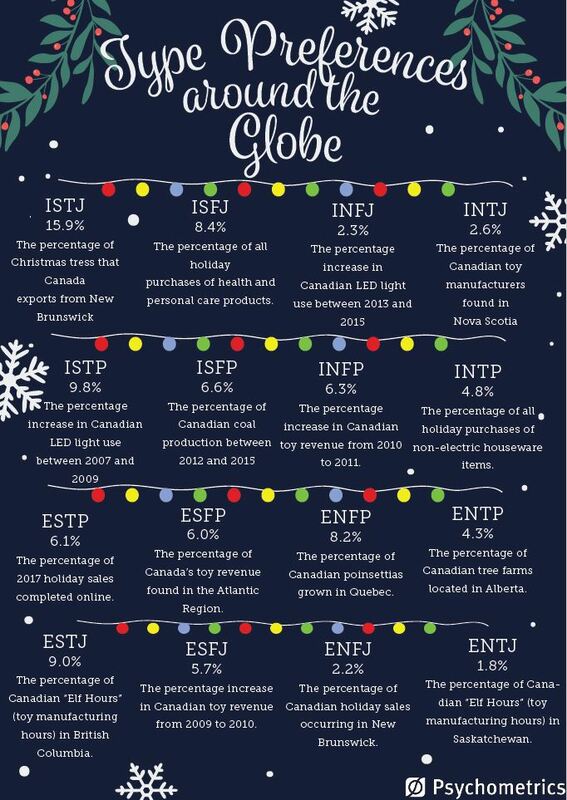 You can find the distribution below, along with some holiday facts from Statistics Canada to accompany each type. As our gift to you, the type table (without the holiday facts) is available as a PowerPoint slide here, and you are free to use it for your own presentations or workshops.